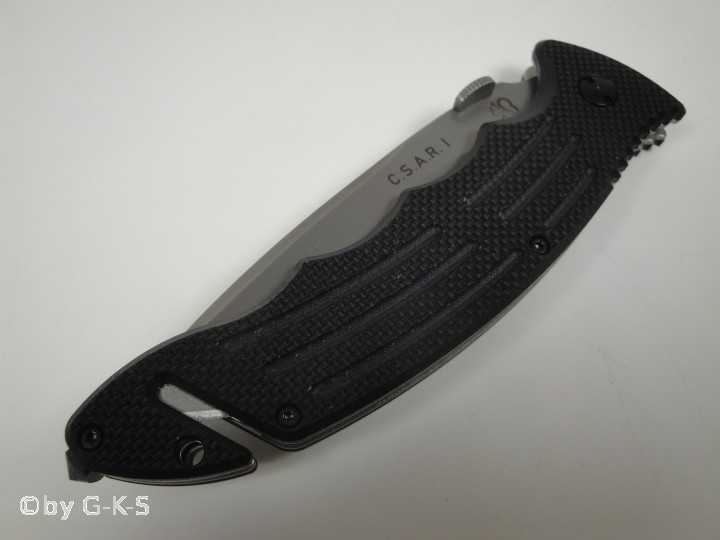 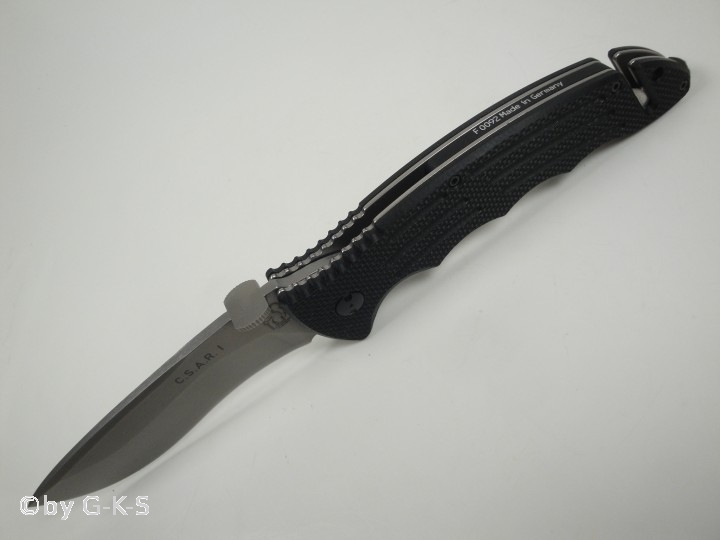 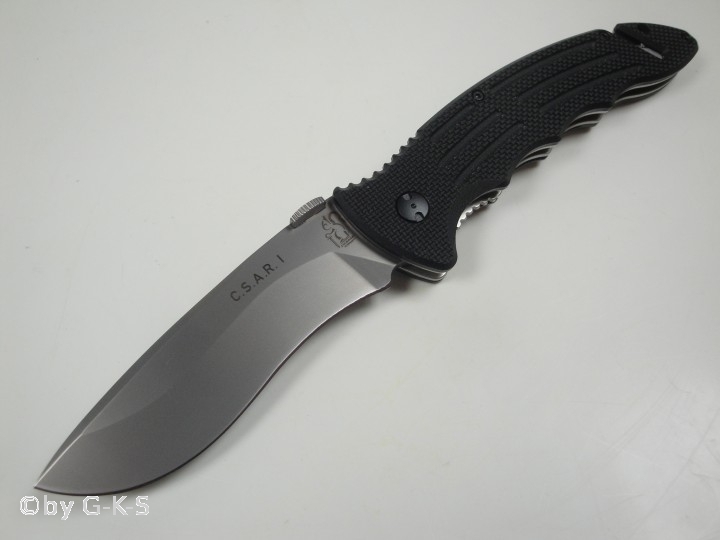 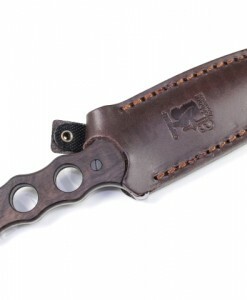 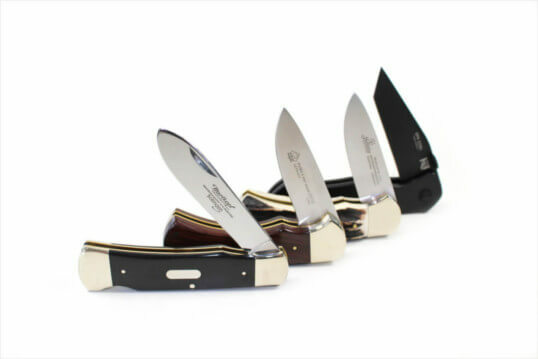 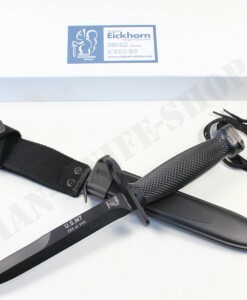 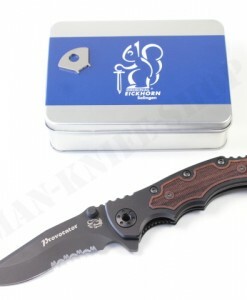 Dear customers, here we offer an original and brand new German Eickhorn-SOLINGEN C.S.A.R. 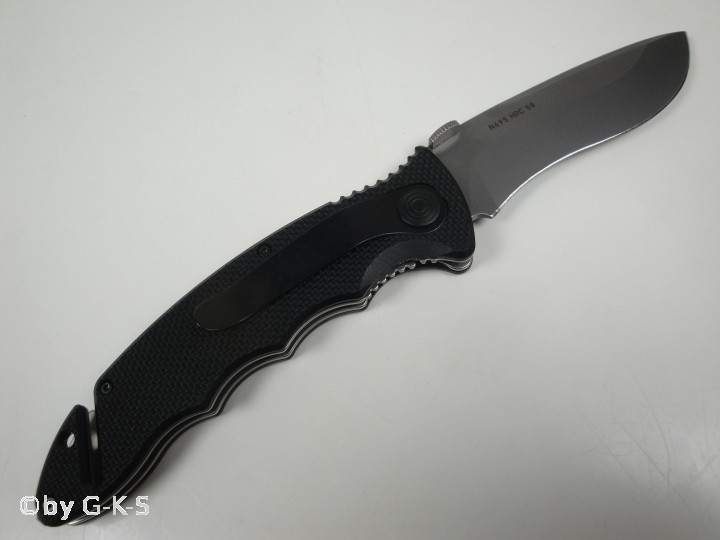 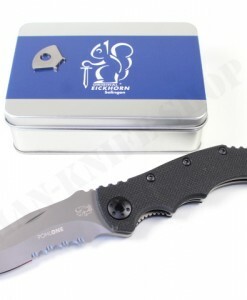 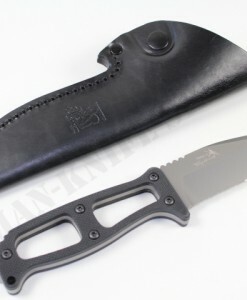 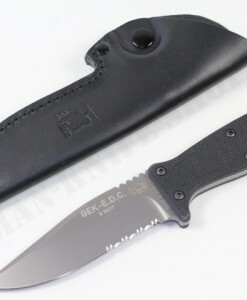 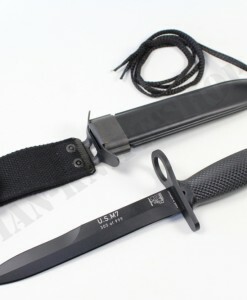 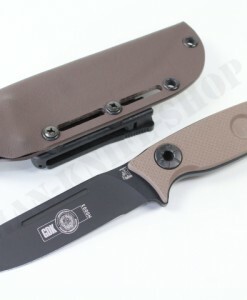 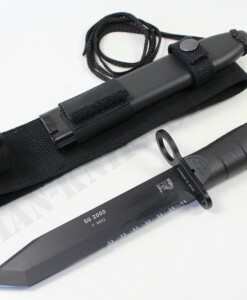 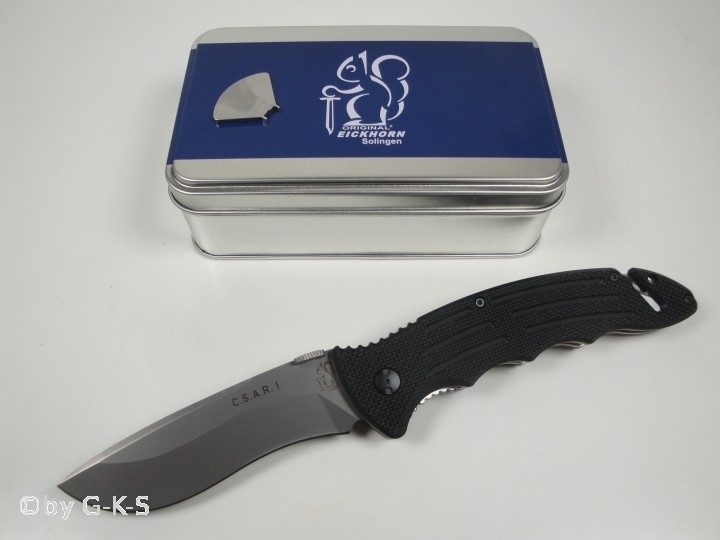 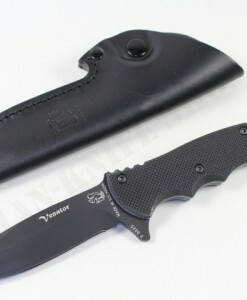 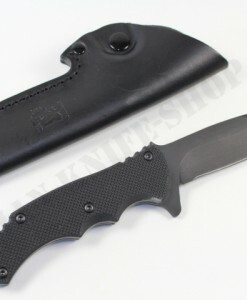 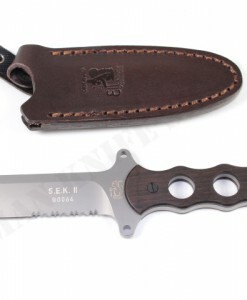 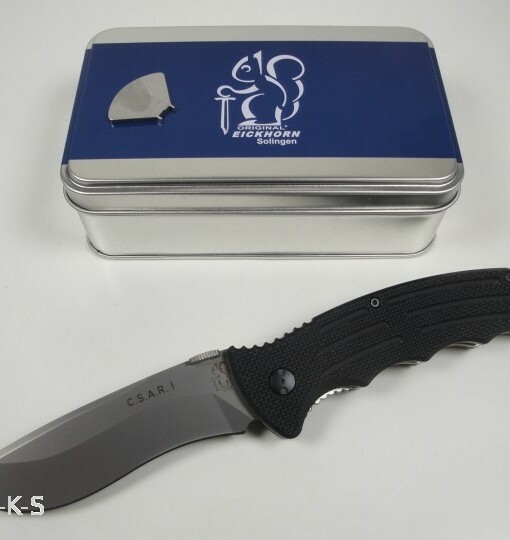 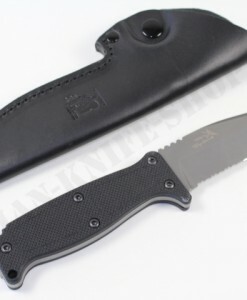 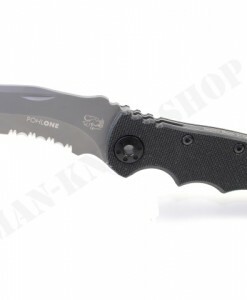 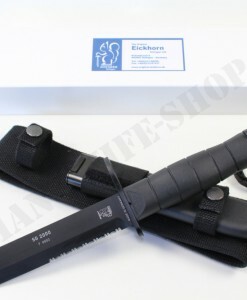 1 (Combat-Search-and-Rescue)Tactical knife made in Germany. 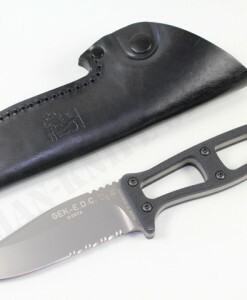 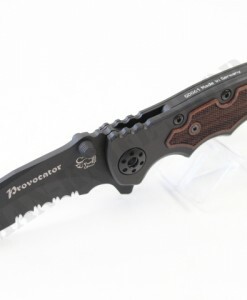 New blade design includes a 0.197 inch lengthening of the spear-point blade. 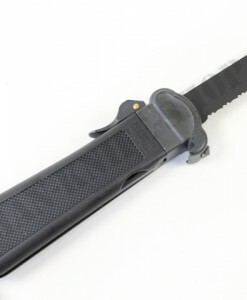 G-10 grips with a grooved design guarantee secure handling. 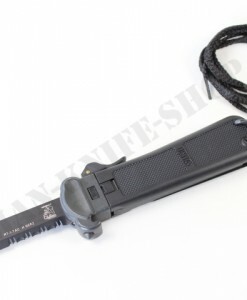 The grip holds an integrated belt cutter and a glass breaker, both of which are essential especially during rescue operations. 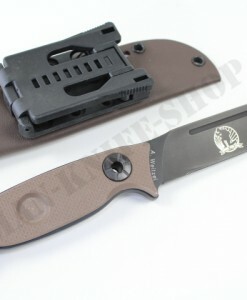 A belt clip for tip-down carrying.